Is Comfrey Getting a Bad Rap? There has been a lot of press in recent years about the dangers of comfrey. The FDA has recently “cracked down” on companies which sell comfrey-based products. There have been orders to remove their products from the market, injunctions, and the requirement of warnings to customers regarding the dangers of comfrey. So what’s it all about? Is comfrey really dangerous, as the FDA would have us believe? Yes, comfrey does contain pyrrolizidine alkaloids (PAs). Yes, PAs have been found to cause liver damage when given to newborn rats. But were these studies indicative of comfrey as a whole, and realistic human use? One such study isolated the PAs, and injected them multiple times interperitoneally to 2-week-old rats over a period of 7 weeks. Liver damage was found.¹ Thus, it was extrapolated that comfrey, as well as other herbs which contain pyrrolizidine alkaloids, causes liver damage. What they failed to take into account is what herbalists have known for centuries. First, ANY substance, in great enough quantities, is harmful. The amount of PAs given to the newborn rats in that 7-week period was the equivalent of over 5,600 comfrey leaves, if given to a “man-sized rat.”² Secondly, you cannot isolate one component and assume that the herb, in its entirety, will have the same action. Herbs are not like pharmaceutical drugs, which are often made up of one or two components. Herbs are made up of dozens, sometimes hundreds, of different components. Each component works synergistically with the others to create the herb’s healing effect. Isolated PAs are not going to have the same effects as the herb as a whole. Tea, almonds, apples, radishes, and mustard all contain properties that, when isolated, are shown to be poisonous.³ Does this mean we should avoid all of these foods because they’re dangerous or toxic? Another problem with the studies which were done on comfrey is that the researchers often did not differentiate between the different species of comfrey. Russian comfrey (Symphytum x uplandicum) contains up to 5 times the amount of PAs as common comfrey (Symphytum officinale). However, in one study, the names S. x uplandicum and S. officinale were used interchangeably. In addition, the root contains a much higher level of PAs, as many as 10-20 times the amount found in mature leaves. So, what to do with this information? Is comfrey safe to use or not? That is something each individual must decide for oneself. There are things you can do to ensure you’re using comfrey responsibly and as safely as possible. Find out what type and part of the plant is being used in the preparation. Is it the root or the leaf? Avoid using comfrey gratuitously. There are many recipes for “nourishing pregnancy tea” that contain comfrey. Is it really necessary? In most instances, no. Comfrey is almost without peer at healing wounds, ripped tendons and broken bones, but in many situations, it can easily be substituted with another herb. Both calendula and plantain are excellent for healing wounds, as well. Be aware of the differences between topical and internal use. When used topically, the PA absorption is much less, compared to ingestion. Also, as an alkaloid, PAs are not easily water soluble, so an infusion is going to have a much lower concentration of PAs than a tincture. Also keep in mind who profits and doesn’t from the use, or defilement, of comfrey. When herbs are used in place of drugs, the pharmaceutical companies lose money. There are many drugs on the market, used by millions on a daily basis, which have been shown to cause liver damage when overused or misused. Acetaminophen is routinely given to people of all ages, from newborns to the elderly, yet its liver toxicity has been proven many times in research. 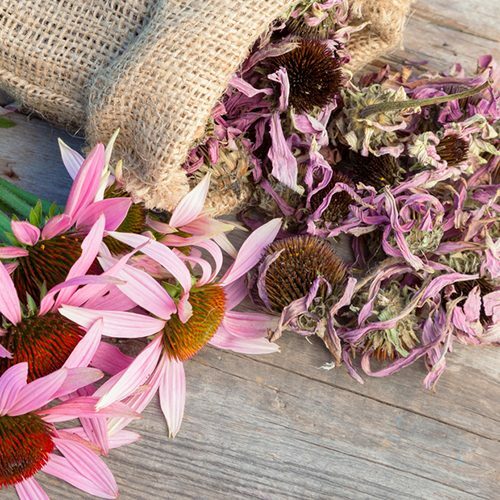 Herbal remedies have the benefit of thousands of years of usage, compared to only a few decades, sometimes only a few years, with pharmaceuticals. Herbs should always be used with care and consideration. Anything that has the potential to heal, also has the potential to harm. Use common sense and always check with knowledgeable and reputable sources if you’re unfamiliar with an herb’s safety and usage guidelines. As with anything, consult with your health care provider before taking an herbal remedy if you’re taking any other prescriptions or herbs. The above statements have not been evaluated by the Food & Drug Administration. These products are not intended to diagnose, treat, cure or prevent any disease.